A month ago I was contacted by Damian Whitworth, a feature writer at The Times of London. He had heard Elton John at a movie premiere say, “I love the smell of nappies.” For some reason, Mr. Whitworth felt his readers would value my opinion on the topic. Or perhaps he just couldn’t find any other PhDs willing to be quoted by name. A new-born baby soils an average of 60 nappies a week. Some claim that they really don’t mind changing them but, says olfactory scientist Dr Avery Gilbert, it’s often those with a “less hands-on” approach to the nappy who “associate the iconic scent of baby powder with the entire experience”. Ooops. 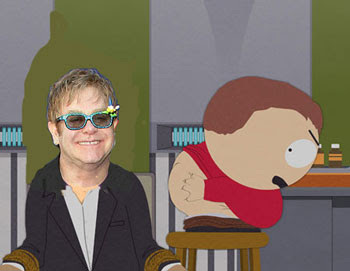 Did I just smear one of Britain’s favorite elderly “rock” stars? Well, who cares. I like him even less than Sir Paul McCartney.